I like heroes and I’m a sucker for adventure stories, thrillers and mysteries which is why I created my enigmatic detective DI Andy Horton who currently appears in 14 novels. But I also had a hankering to create a new character for a new series, someone who was not bound by the official rules of the law, but who was nevertheless on the right side of it. The series also had to have all the hallmarks of my brand – a troubled hero, the sea, boats, interesting and diverse characters and lots of action. So already the stage was set for Art Marvik. Marvik’s role in the squad is to go into a mission practically cold with minimum information, to ask questions, to stir up trouble, to put himself on the line and to provoke a killer into the open. He’s done it often in the Marines. He sees no problem in doing it for the National Intelligence Marine Squad. Both Silent Running and the second in the series, Dangerous Cargo, focus on crimes that have a marine connection (obviously) and also have links to the past. 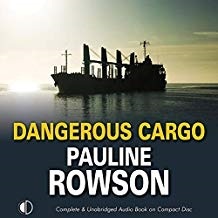 In Dangerous Cargo Marvik is detailed to attend the funeral of a man found dead on the shores of the Isle of Wight only it’s a man who was officially identified as dead fifty five years ago. Scarred physically from his combat injuries Marvik is also emotionally scarred by the death of his parents – his mother, a renowned marine archaeologist, his father an acknowledged expert in oceanography – were killed in an underwater earthquake in 1997. Dangerous Cargo introduces a new twist to their deaths and another marine mystery that Marvik is eventually duty bound to investigate. Now available as an audio book narrated by Peter Noble and published by Soundings. Dangerous Cargo is also available in paperback as an ebook and on Amazon Kindle. 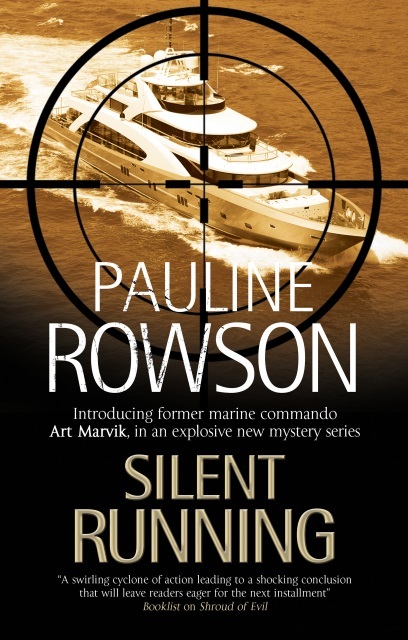 In his second mission for the National Intelligence Marine Squad, former marine commando Art Marvik finds himself on the trail of a 50-year-old mystery, his task to catch a ruthless killer whose murders span over half a century. Do you write in sequence?